View of the shops, hotels, and restaurants along Ouellette Avenue in 1927. How many businesses can you identify in this photograph? 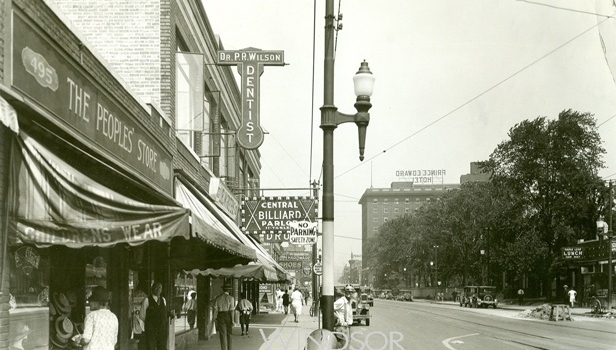 1 Response to "Throwback Thursday"
Yes I do remember the good ole days ,but not in 1927, because I was not born until 1953.My mother used to send me to shop downtown when I got up in age. The downtown area was always packed with all the shoppers. Stores like Woolworths, Kreseques & the Windsor market were always jammed packed. How I miss those days. I would love to go back in time again. They will be memories I will never forget.